OPINION: Come on kids, the show’s about to start. Though the role of film classifications in an age of illegal downloads, streaming and sharing has been weakened, there is a worthy idea at the heart of the decision to create a rating to accommodate provocative Netflix show 13 Reasons Why. The American drama confronts teen suicide and has garnered both bouquets and barbed criticism for how it handles the issue. Chances are by the time most parents of teenagers had heard about the show, their kids had already binge-watched it. Nevertheless, the Office of Film and Literature Classification responded this week with an RP18 rating that allowed young people to watch the series, but only with a parent or guardian. It argued, sensibly, that the show was relevant to the teenage audience for whom it was intended but the content demanded further discussion with a responsible adult. The rating intends to put parents in the same room, watching the same show on the same screen as their children. This is what we did back in the 20th century, before each household had multiple screens to view a multitude of media, each with our own personalised accounts. And TV programming was not nearly as challenging as what cable network HBO and streaming service Netflix have been commissioning. Some will dismiss the decision as being as antiquated as the censor’s office itself, which holds little stature or consequence to the kid in the bedroom with a cinematic library at their fingertips. The internet and a plethora of digital devices have eroded the influence of the censor’s ratings, and made it far more challenging for parents to keep track of what kids are watching. Long gone are the days of a 15-year-old browsing through a video store and nervously studying a case with a red label and feeling like an outlaw, but knowing there was no way of getting it past the beady-eyed old lady behind the counter. Less relevant still are the entirely useless broadcast classifications. Teenagers have been ignoring or, more likely, been oblivious to 13 Reasons Why’s ‘adult only’ rating since it first aired a month ago. The ambition of the RP18 rating may not be realistic, but it is commendable and more forward-thinking than that of the show’s detractors, who simply want to prevent teens from watching and mute the conversation because the drama doesn’t tick every box for responsible messaging on suicide prevention. No show will ever do that and also resonate with a young audience. 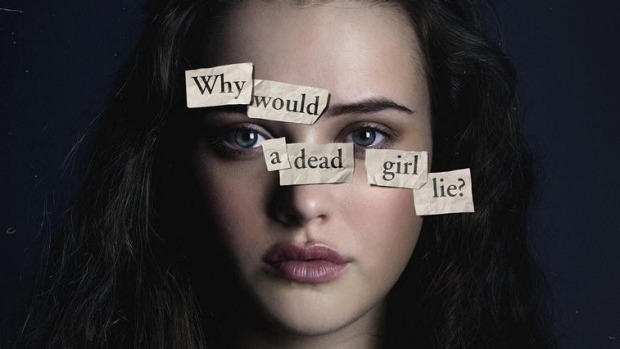 If the new classification means more parents are aware 13 Reasons Why exists, that may have to be enough. And if even just a dozen of them can encourage their teenage children to share the couch and maybe start a conversation, then even better. * Suicide Crisis Helpline (open 24/7) – 0508 828 865 (0508 TAUTOKO). This is a service for people who may be thinking about suicide, or those who are concerned about family or friends. * Youthline (open 24/7) – 0800 376 633. You can also text 234 for free between 8am and midnight, or email talk@youthline.co.nz. * 0800 WHATSUP children’s helpline – Phone 0800 9428 787 between 1pm and 10pm on weekdays, and from 3pm to 10pm on weekends. Online chat is available from 7pm to 10pm every day at whatsup.co.nz. * Kidsline (open 24/7) – 0800 543 754. This service is for children aged 5 to 18. Those who ring between 4pm and 9pm on weekdays will speak to a Kidsline buddy. These are specially trained teenage telephone counsellors.